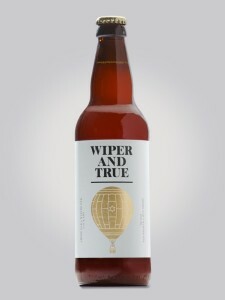 “No ordinary beer” is the motto of brand new, Bristol-based brewery Wiper And True, who describe themselves as “experimenters and inventors” and aim to “create the extraordinary”. December is the first month in which the brand’s beers are available (you can find them at St Nicholas Market on December 16th, 18th, 20th, 22nd, 23rd and 24th 2012 – as well as at The Star & Dove in Totterdown, The Hillgrove in Kingsdown and The Lanes in the city centre. Currently, the brand are relying on the kindness of other breweries who are allowing them to use their equipment – but they are looking for a permanent home in Bristol in which to continue with their exciting creations. I love the amount of detail they provide to customers when it comes to their beers. The website provides details of the malts, hops and yeasts that are used for each beer, details of how to store, information about where it is currently brewed while they look for permanent premises…and (my favourite part!) the tasting notes, which suggest which foods are best served with the beer – the company is very much about producing not just innovative beers, but those which work well with food. The 6% Blackberry Porter (ideal with rich meats, strong cheeses or British hedgerow fruits), the 5.6% Amber Winter Rye (great with tagine dishes, feta salad or dried fruits) and 5.4% pale ale “The Summer” (enjoy with Indian curries, fresh fish or farmhouse Cheddar) are currently available at St Nicholas Market on the dates mentioned above – either in individual bottles or in a gift pack of three bottles with a glass – the perfect Christmas present for foodies who love trying new things. Looking forward to hearing more about these guys in the future!